Eddie Price is a retired history teacher who writes award-winning books. Widder’s Landing, a historical novel set in Kentucky in 1811-1815, has won gold medals for “Best Historical Fiction” at the Readers’ Favorite Awards and National Literary Habitat Awards, and was honored by the US Daughters of 1812 with the “Spirit of 1812 Award.” One Drop—A Slave! (2018) has already gained critical acclaim. His children’s books, Little Miss Grubby Toes Steps on a Bee! and Little Miss Grubby Toes Plays With Fire! 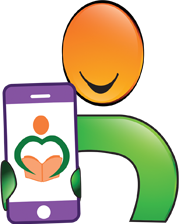 (illustrated by Mark Wayne Adams) have won gold medals at the Readers’ Favorite Awards, the Florida Authors & Publishers Association, and the Mom’s Choice Awards. Eddie is a world traveler who enjoys bicycling, horseback riding, and swimming. He and his wife Mary now live in Hancock County, Kentucky. He has two daughters, Sheena and Breanne. 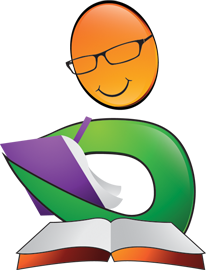 Eddie Price presents a number of acclaimed educational programs all across the United States. He often visits grades K-12, colleges, and universities in the daytime; in the evenings he presents for historical and genealogical societies, libraries, museums, patriotic groups—often doing as many as nine programs in a single day. If you are interested in having the author present a program for your organization or school, please visit his website at www.eddiepricekentuckyauthor.com. Click on “Program Info.” and “Contact” for more information. The author invites you to pay a visit to his Facebook page at www.facebook.com/eddieprice.1954 Books are available at Amazon.com and at eddieprice.1954@att.net . An Unlikely Trio: The Winners of the 1913 Kentucky Derby is a nonfiction sports racing history book written by Eddie Price. The horse that won the 39th Running of the Kentucky Derby was a long-shot -- the odds placed on him were, and still are, record-breaking. Donerail was a thoroughbred with a prestigious lineage, but he was skittish, performed poorly in muddy conditions and hadn’t lived up to expectations. His jockey, Roscoe Tarleton Goose, started out riding big draft horses to and from the farriers until his exceptional ability to interact with horses was recognized. Thomas Patrick Hayes, who bred, owned and trained Donerail, was born to impoverished Irish immigrants who settled in Northern Kentucky where they worked their farmlands. Their fortunes changed when the father and son purchased a 300-acre farm in bluegrass country. Hayes and Goose believed Donerail had it in him to be a great racer, but they hadn’t really expected him to win more than the entrance fees -- then he surprised them all. Eddie Price’s An Unlikely Trio: The Winners of the 1913 Kentucky Derby is a fascinating and fast-paced book that proved to be quite a learning experience. I loved learning more about thoroughbred horses and the three horses, who are the genetic ancestors of the breed, and understanding a bit more about their form and fitness for racing. Price does a marvelous job of tracing the biographical information about Goose and Hayes, and his discussion about the efforts of the states to ban gaming and its effect on horse racing in this country is well-presented and engrossing. His presentation of that 1913 race is mesmerizing, filled with tension, excitement and animation. I had a grand time reading An Unlikely Trio: The Winners of the 1913 Kentucky Derby and most highly recommend it. An Unlikely Trio by Eddie Price is an inspiring and captivating story of patient endurance, growth, and determination. The story is about Roscoe Tarleton Goose, Thomas Patrick Hayes, and a thoroughbred horse called Donerail. Roscoe was born and raised in abject poverty. After working some odd jobs to support his family, he finally stumbled upon his passion and skill in handling horses. He would later become a professional jockey. Hayes's story was similar to Roscoe’s, only that he was born in better circumstances. 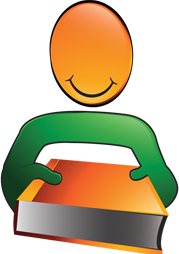 He still had to work hard just like Roscoe and, from an early age, he learned to live frugally and build savings. Hayes would later become the owner of a number of horses, and be both their breeder and trainer. The three including Donerail, the beautiful bay colt, would later come together to participate in the 1913 Kentucky Derby. An Unlikely Trio by Eddie Price is well-written, fascinating and very inspiring. Price does a great job of following the stories of the characters from their backgrounds to the point they got to participate in the 1913 Kentucky Derby. I was able to appreciate the drive and vigor of Hayes and Roscoe. I was inspired by their refusal to be bound by their circumstances as they strove for a greater and better future, achieving remarkable accomplishments. More importantly, their discipline and consistency in working on their skills without being deterred by their prevailing circumstances were even more compelling. Anyone who loves horse racing will definitely love Eddie Price’s story of An Unlikely Trio. Still, anyone looking for inspiration to follow and work at their passion should also read this book. 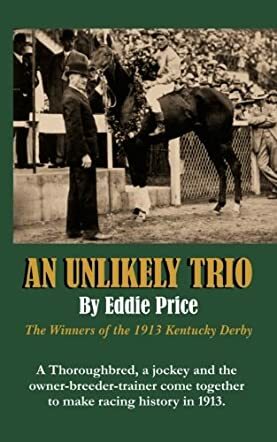 An Unlikely Trio by author Eddie Price is a non-fictional account of the winners of the 1913 Kentucky Derby, which include the colt Donerail, jockey Roscoe Goose, and the owner-trainer Thomas Patrick Hayes. It is an inspiring telling of a true underdog, or underhorse, specifically. The tone is very straightforward and the author does not mince his words by any means. Throughout this brief book, historical moments are noted during the timeline and that adds an extra level of immersion for the reader. There is a complete 360 feeling attached to the story, even though there aren’t many quotes in the book, and you really get a feel for who these people and horse were, and where they came from. It feels as though you are truly stepping back in time. I honestly can’t tell you just how much I loved reading this book. I come from horse people; my grandparents, although not jockeys, showed horses, as did my mother, and I had a small stint as a rider myself, but nothing more than that as a child. I have a great appreciation for horses, and an even greater appreciation now that I’ve read Eddie Price’s An Unlikely Trio. The lineage of thoroughbreds was fascinating in and of itself, specifically how they can all be traced back to three horses. The author is able to convey expertly who these people were and the struggles they were dealt, as well as the floundering race finishing that followed Donerail before he shocked the world and won the Kentucky Derby of 1913, breaking the record for time of that year. He still holds the record for odds against a horse who won, 91: 1. If you love true stories about the underdog winning the day, this is your book. You are sure to step back in time in this wonderful read. An Unlikely Trio: The Winners of the 1913 Kentucky Derby by Eddie Price opens with Roscoe Goose. One of a large family, he was born in poverty, with a father going blind from a head wound suffered while fighting for the Confederate Army in the Civil War. Sent to relatives in Indiana, he struck out alone, learning to ride on draught horses for a blacksmith. Thomas Patrick Hayes came from Irish immigrants driven to America by the Potato Famine, but father and son made a success in business and began breeding horses. Despite the Wall Street Crash, Thomas Hayes became an owner/breeder/trainer, and the horse he employed Roscoe to ride was the thoroughbred colt, Donerail. How did this “unlikely trio” mesh together? What is the human, and equine, story behind the rose-blanket of victory? “If you believe in yourself” is a phrase from a song that echoed in the back of my mind the whole time I was reading An Unlikely Trio: The Winners of the 1913 Kentucky Derby. Roscoe Goose could have been forgiven for remaining a newsboy and Thomas Hayes didn’t have an easy route to riches. The skill of bringing a thoroughbred colt from foaling to healthy maturity is an art not learned without hard work. Donerail’s ancestry could be traced back to The Byerley Turk. The instinct to race, to be first, drives all horses, but each of the three needed the other to achieve the ultimate victory. A starting price of a hundred to one? For sheer entertainment, Eddie Price’s An Unlikely Trio is a winner from the off. An Unlikely Trio: The Winners of the 1913 Kentucky Derby by Eddie Price is a reconstruction of the events that led to the greatest upset in Derby history. It is the story of jockey Roscoe Goose; breeder, trainer and owner Thomas Hayes; and a horse named Donerail. The third son of a union army sergeant, Roscoe's father settled in Jeffersontown as a sharecropper on a small farm. It was a hard and poor existence for his five boys, who worked on menial jobs, and their mother, Catherine. The son of poor Irish immigrants, Thomas was a self made man who began acquiring and raising horses as part of his growing business enterprise. Donerail, on the other hand, is a true thoroughbred that came into Hayes' possession. Eddie Price's novel, An Unlikely Trio: The Winners of the 1913 Kentucky Derby, takes us back to the early days of the Kentucky Derby and climaxes on the day when this unlikely trio, against all odds, won the major prize. 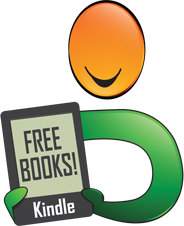 Well researched and engaging, this novel is, indeed, stranger than fiction. And it is surprisingly a great read for the general public. One does not have to be a horse aficionado to enjoy this story. Perhaps this is because most people want the "dark horse" to win. Most of all, this is a story of hard work, suffering, perseverance, and, in the end, triumph. Eddie Price's An Unlikely Trio is an inspirational book because the individual stories of Roscoe, Thomas and Donerail give credence to the saying: you can do anything you want as long as you are willing to really work hard for it.